Injury at work, in an automobile accident or elsewhere? If you are injured in California, California Injury Lawyer is here to help! Starting with a Free Consultation! Serving our California injury lawyer clients from the communities of: Los Angeles County, San Gabriel Valley, Riverside County, the Inland Empire, and the San Bernardino County area. The Right Attorney for Your California Accident Injury Case! Have You been involved in an Auto Accident Recently? Contact the Best Team of Auto Accident Injury Lawyers in California. Get all the information and advice you need to recover, compensated for damages and injuries, what to do following a car accident, and what to expect from this time forward. You can contact the California Car Accident Injury Law Firm at: Call Now - (909) 962-8493. Speak with the Real California Injury Lawyers helping motor vehicle collision accident victims in Southern California. Understanding Personal Injury law in California and it’s legal benefits. A Personal injury is complex and can be difficult for the average person to comprehend. When an injury occurs which is at no-fault of your own and caused by someone else. A personal injury claims case may apply for compensation benefits to help with medical treatments, economic job loss plus pain and suffering. Those who may know an individual or multiple persons should definitely be held responsible for the damages or injuries caused against them. The term “personal injury” covers a broad range of legal injury torts that arise from car accidents, slip and falls, dog bites, dangerous hazardous products, and employment work injury accidents. The word ‘tort’ means to “twist, wrong or harm”. Most cases arise when someone’s negligent accident or careless act causes bodily harm or death to another individual or person. In such situations, the individual causing the harm is often financially protected by an insurance policy. A Personal Injuries claim attorney can help collect from the insurance company. The law firm will file a lawsuit if a fair informal value resolution via a monetary settlement cannot be resolved between the two party’s. An insurance company will pay out monetary funds to a represented individual even before filing a lawsuit. The law firm also has the ability to decide the fair value and threaten a lawsuit if not resolved promptly. Why Hire an Experienced Personal Injury Claims Attorney? There are many reasons why someone may need to hire a personal injury lawyer in the state of California. From car accident injuries to dog bite injuries and everything in between, when a person suffers from physical harm after an accident, someone else may be legally responsible for those injuries. With personal injury law or tort law, an injured party is by law allowed to make their case in civil court to seek damages for their injury from the responsible party. Have you, a family member, friend, or loved one been injured in an accident? Contact at once a personal injury law attorney to get the case evaluated for potential causes of action under the injury tort law. 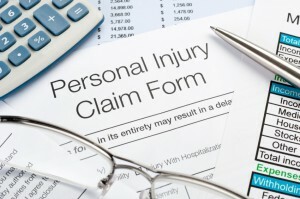 When Is the Right Time to Pursue a Personal Injury Claims? 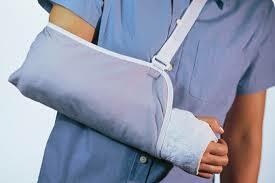 Personal injury cases resulting from accidents are very common. These types of cases appear most often due to a negligent act by the defendant that caused harm to another person. Some typical examples include car accidents, medical malpractice and many slip and fall situations. This type of case results from one person causing harm to another persons reputation with defamatory claims. With the help of an experienced personal injury attorney, victims can then seek damages for the harm that resulted from such behavior. If a defendant’s intentional acts cause harm to another person, the victim can file a personal injury claim. Common examples of this type of case include assault and battery. In certain cases, a defendant can be found liable for harm to another person without having any intentional wrongdoing or neglect. These types of liability claims often result from the use of a defective product like car airbags that don’t deploy properly or faulty safety seals. While no two accidents are the same, no two personal injury claims are the same either. However, there are a few standard practices that the majority of personal injury claims have in common. 1. The defendant does something to cause harm to the plaintiff. This can be either negligent or an intentional act. 2.The plaintiff has reason to believe the defendant has done something to breach their legal duty. For example, medical malpractice or defective products that cause harm to another. 3. Defendant or plaintiff seeks settlement. When it is clear that the defendant has breached a legal duty, they may want to settle out of court. If the plaintiff agrees to the settlement then the case ends. If not, the defendant can file a personal injury lawsuit and the claim may be decided by a jury in civil court. 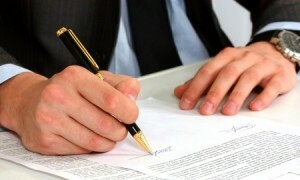 Personal injury settlements can be agreed upon at any point during the legal process. 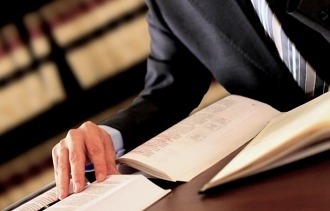 If you are wondering if a personal injury case is the best option for your specific case. Our California Injury Lawyer law firm will take a look at the specific circumstances of your legal claim for free. We offer free legal consultations to all our clients to understand and know if the case has a good chance of pursuing with in the legal court system. How You Can Benefit from Filing a Personal Injury Claim.Injury Law California Experiencing pain from repetitive work activities? Has a car accident, truck accident, motorcycle collision, job loss, dog bite, medical malpractice issue or dangerous product resulted in bodily harm or the death of a close family member? We do personal injury and workers’ compensation claims. Let a California Injury Lawyer take a look at your situation today. 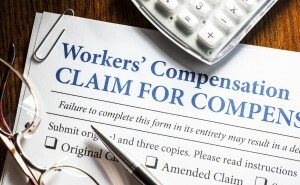 What is Workers’ Compensation law in California? It’s an insurance that requires all employers within the State of California to obtain workers’ comp. coverage insurance for it’s employee’s. To also give a legal safety net for victims of work related accidents and illnesses. The law provides all employees who are injured or disabled due to their job, with medical treatment and monetary award of compensation for lost earning capacity. The law eliminates the employee’s right to sue their company employer in civil court for negligence or any other tort civil legal liability claim. By eliminating civil lawsuits, the employer is protected against expensive civil litigation costs and possible catastrophic liability lawsuit. By providing workers’ compensation for it’s worker’s regardless of fault who sustains an injury arising out of the course of the worker’s employment. The law provides benefits for dependents of those workers who lose their life in work-related accidents or work accident illnesses. When injuries happen outside the State of California, they may or may not be covered under workers’ compensation law. Where California law does not apply, another State’s laws or Federal law could cover the injuries or illnesses from work related accidents. State workers’ compensation laws in California mandate that employers pay workers compensation benefits to employees in the event they are injured or disabled in the scope of their work. At the same time, federal employees are covered under the federal government workers compensation laws. Workers compensation laws are designed to avoid litigation. However, an employee may opt to sue an employer for any intentional or reckless action that cause the injury. With this option, an employee may be awarded lost wages, medical expenses and monies for pain and suffering. Just keep in mind that this option precludes one from filing a workers compensation claim. Injured on the Job? Need a Workers Compensation Claim Attorney? Workers compensation insurance covers medical care expenses, replacement income costs and retraining. Plus, workers compensation settlements are awarded for a partial or permanent work injury and benefits to family survivors if the employee dies. It does not compensate for pain and suffering. Under the workers compensation act, wage replacement is modest and only covers about two-thirds of the worker’s average wage. However, these benefits are not taxed. If an employee is injured on the job, it is important that they notify the employer within 30 days. When notification isn’t done in a timely manner, the employee may lose their right to workers compensation. Plus, any delay will hold up employee workers compensation benefits. 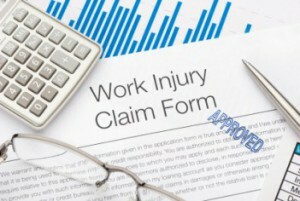 Reporting a work related injury does not count as filing a workers compensation claim. *Read more on How to report a California workers’ comp. claim for work related accident injuries and what to do if you are having issues reporting your injury. The workers’ compensation law insurance company is required to respond to a claim within 14 days. The insurance company must make temporary disability benefits, state that they are investigating the validity of the claim or deny benefits. In the interim of investigation, the workers’ comp. insurance company must authorize payment for medical treatment up to $10,000. A California Workers’ Comp. Law Firm Can Help if Injured on the Job! Employers are not permitted to retaliate against an employee who files for workers compensation benefits. If this does occur, employees should report it to the local workers comp. office. Workers’ compensation lawyers can assist those injured on the job when a claim is denied or when an employee feels that they are not receiving the correct workers’ compensation benefits. These legal professionals help injured workers battle the cost-cutting tactics sometimes used by employers and insurance providers and can assist injured workers with both workers compensation and third-party claims in California. Have you been seriously hurt or injured in an accident? If so, you will certainly need a knowledgeable, experienced California Injury Lawyer of the Law Firm to negotiate a fair claim settlement, or to file a lawsuit. Where do you find a law attorney who fights hard for your injury claim? What concerns do you ask to be sure you get the best law firm for your case? Don’t settle for any law firm, attorney or lawyer! With severe injuries, and possible lawsuits. You’ll need an experienced, aggressive, and powerful law firm that can handle any injury court case. Need to File an Injury Case Claim? Our Law Office Helps With Injury Claims for: work injuries and illnesses, automobile driving collisions, medical negligence, dangerous products liability, occupational injuries, workplace construction accidents, compensation claim benefits, work accidents while driving, nursing home abuse, elder abuse, commuter train crash, wrongful death lawsuit, catastrophic harm, motor vehicle crashes, car and motorcycle crashes, truck collisions, bus accidents, plane crashes, pedestrian and bicycle accidents, medical procedure injuries, slip and falls, and serious dog bites. Have you been injured at work or a car, motorcycle, truck, bus, train, plane, aviation, pedestrian accident? Dangerous product, medical procedure, slip & fall, dog bite? We maybe able to help! Serving our California injury lawyer clients from the communities of: Los Angeles County, San Gabriel Valley, Riverside County, the Inland Empire, and the San Bernardino County area.